Deaf Young People and their Families: Developing Understanding by Brand: Cambridge University Press at Translate This Website. Hurry! Limited time offer. Offer valid only while supplies last. This is a longitudinal follow-up to the study reported in The Deaf Child and his Family, now republished as Deaf Children and their Families. This is a longitudinal follow-up to the study reported in The Deaf Child and his Family, now republished as Deaf Children and their Families. 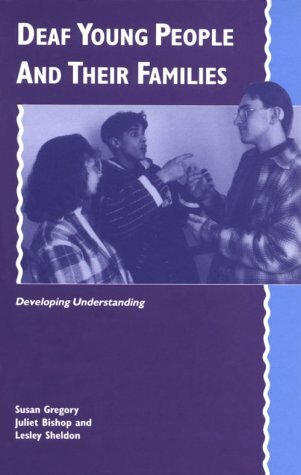 Eighteen years after the original study, seventy-five percent of the original families have been traced and this new volume provides an account of the subsequent interviews with both the parents and the deaf young people themselves. Participants reflect not only on the consequences of deafness within their own lives, but on the changing context for deaf people. It includes a comparison of the views of parents with those of their sons and daughters and an examination of factors in early life that may relate to later development. In its provision of a unique insight into the deaf young person's perspective on life, it will be a valuable resource for all those concerned with deafness and special education, including families, deaf people, professionals and academics.